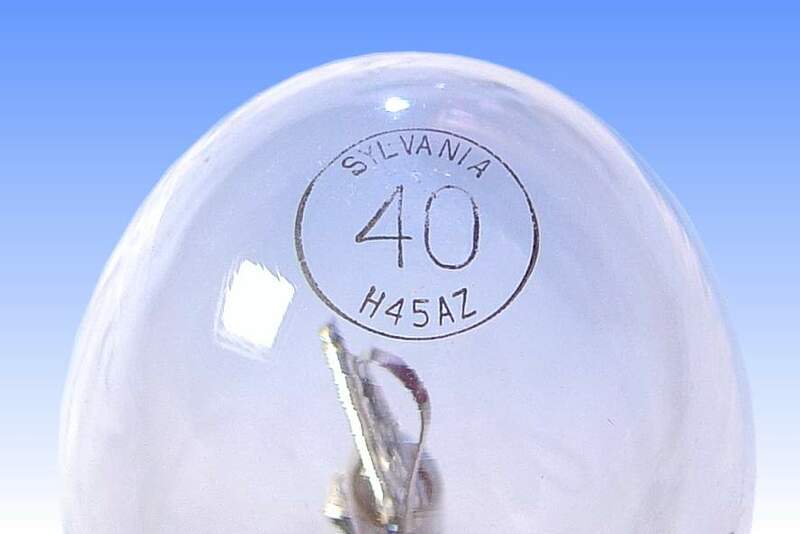 In the late 1960s Sylvania introduced a family of low wattage mercury lamps primarily intended for interior lighting as an energy saving alternative to mains voltage incandescent lamps. They were offered in the new compact B-21 and decorative G-40 spherical bulbs, having a large coated surface area to minimise glare. 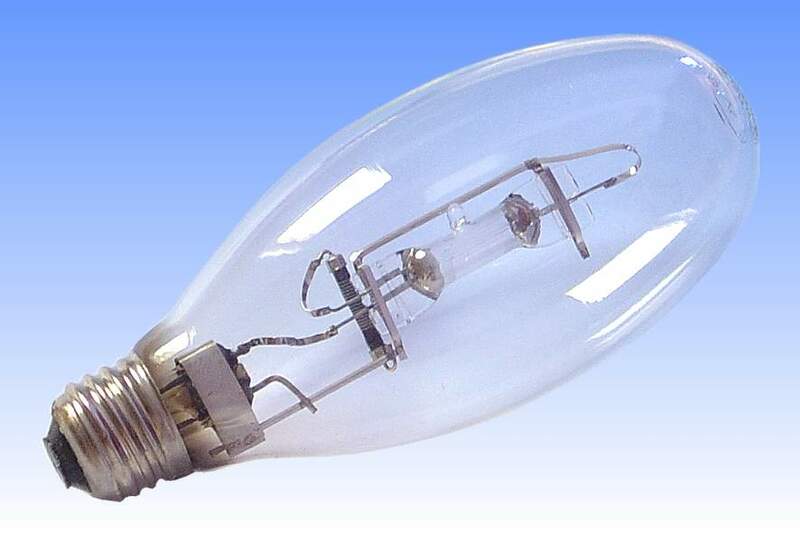 An A-23 shape 100W lamp was also offered to directly replace the A-23 150W incandescent lamp with a higher light output. This family of mercury lamps offered the advantage of a 60% energy saving and dramatic increase in service life vs incandescent. This 40W version represents the lowest wattage high pressure mercury lamp that has been developed for general lighting applications. 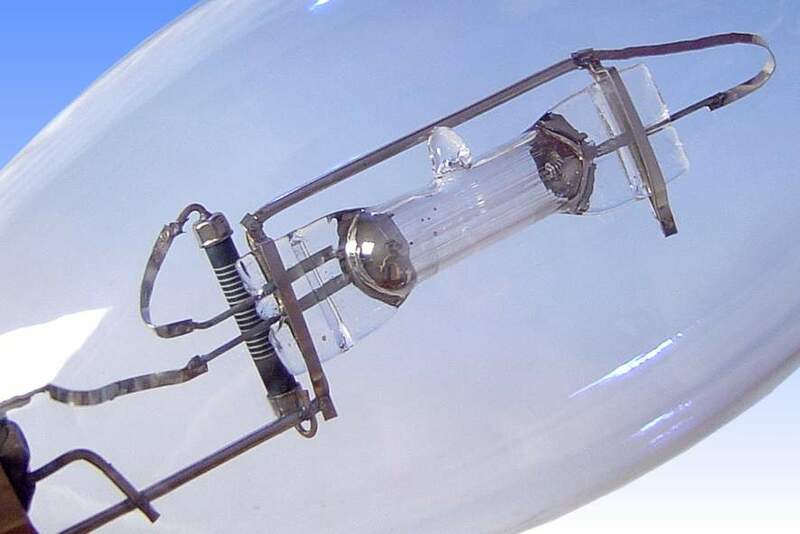 With an efficacy of only 30 lumens per watt its performance is relatively poor - but it must be remembered that this is still twice as good as the incandescent lamps it was designed to replace. The very small arc tube features the addition of heat-reflective platinum paint coatings to the end regions of the arc tube. Because the wattage is so low, it would ordinarily take a very long time for the lamp to warm up enough to vaporise the mercury dose. The heat reflectors serve to reflect heat from the glowing electrodes back into the arc tube and more quickly bring the mercury vapour pressure up to the normal operating level. 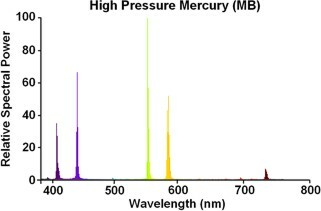 Additionally, such a small arc tube would rapidly lose its heat if it was mounted in the usual gas-filled outer jacket. Consequently a vacuum outer is provided for reasons of thermal insulation. The arc tube is clearly manufactured from one of the earlier types of quartz tube manufactured by Sylvania, this being characterised by the great number of air lines present along its length.